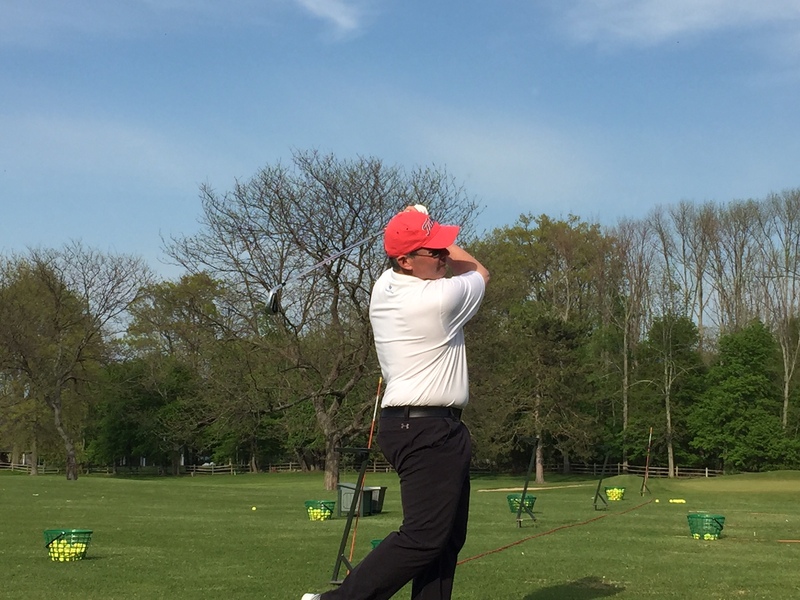 Ben Wilson | Sodus Bay Heights Golf Club | Meet The Pro | Go Golf U.S. Welcome to the third edition of “Meet the Pro”. If you missed our previous articles, let us quickly explain what/why we do it. A goal of Go Golf U.S. is to build a personal connection in the game of golf again. We want to help players get to know the courses, golf shop staff and pros. When we see familiar faces and can add a smile or hello, it makes a better experience for all. So, to gather content for these articles, I (Alan Liwush) put the pros on the hot spot in an interview to find more about them to share with all of our Go Golf U.S. community members. I had only met Ben in passing at the club and through some friends. This was truly my first interview going into the situation knowing little to nothing about the pro other than where he worked. Was it challenging? Not at all! Once we got going into the questions it was like I knew Ben for years. 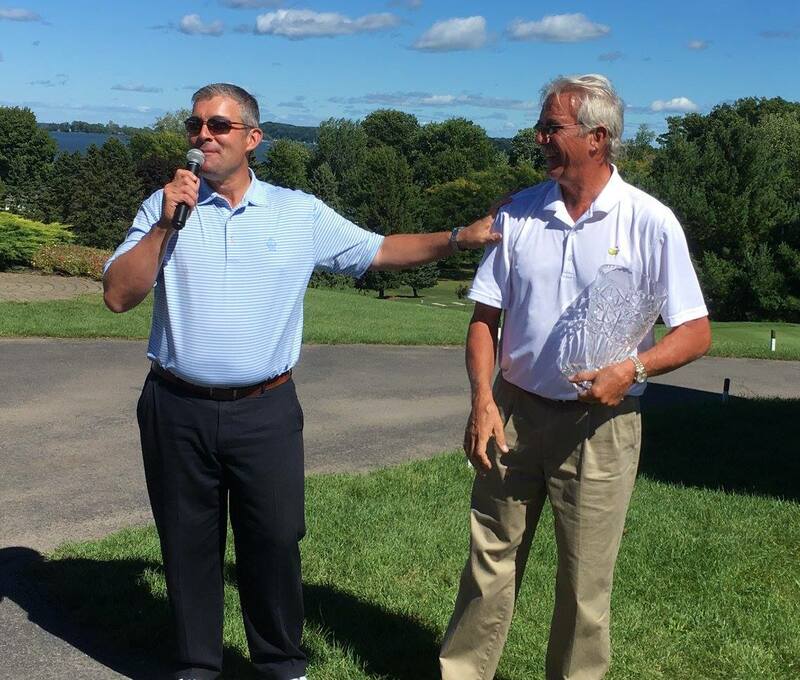 That being said, enjoy this short story/interview on Ben Wilson of Sodus Bay Heights Golf Club. Growing up in Richmond, VA, Ben’s parents were members at a Country Club. An exhibition senior tour event was going on called the Valentine Tournament at Hermitage CC. The big names like Arnold, CiCi, Orville Moody and Art Wall were all playing. At the age of 6, Ben met Arnie and CiCi when they signed his visor. Young Ben was enamored at how star struck he was with the players he could barely speak. Ben’s parents took note and the next week, for his bday, he received a set of Wilson Jr. Staff blades with wood woods and driver with a red and white leather bag. From there, the golf bug had bit him. Years later, selling furniture in his parents furniture store in Charlotte, NC created a skill that lead Ben into his first job in golf as sales rep for Softspikes. During the transition period between metal and soft spikes, Ben was able to take advantage and convert 75 courses in the Myrtle Beach area. This was only a year trial period with the company but lead Ben to a passion for the game and finding another job in golf. He landed at Birkdale GC as a bag boy and worked his way up to shop assistant. Shortly after that, he headed West for the mountains of North Carolina for Linville GC where he met one of his future mentors, Bill Harmon. With the West coast and sun on his mind, he set out with Bill for Palm Dessert, California where he took a position for 6 years, “Chasing the sun” as Ben called it traveling back and forth between seasons at Big Horn GC. Bill Harmon then introduced Wilson to his brother, Craig Harmon which lead him to a position as assistant pro at Oak Hill Country Club in 1999. 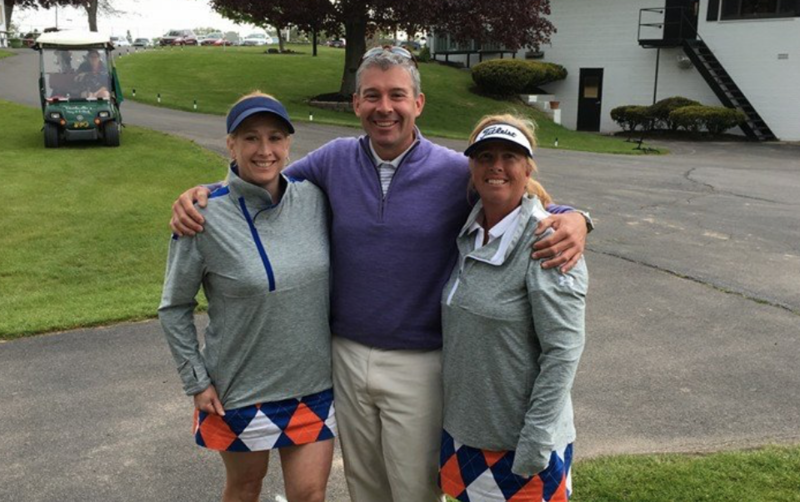 He made a jump to head pro position at Ridgemont CC in 2005 and then to today where he currently resides as head golf professional of Sodus Bay Heights Golf Club since 2015. Throughout his career, Ben earned his class A PGA status through the GPTP (Golf Professional Training Program) which was the predecessor to the PGM. He currently holds all 3 levels. An impressive history with many beautiful clubs and great mentors have helped him in learning about the game and becoming a head pro today. Photo above is of Ben with SBHGC members. 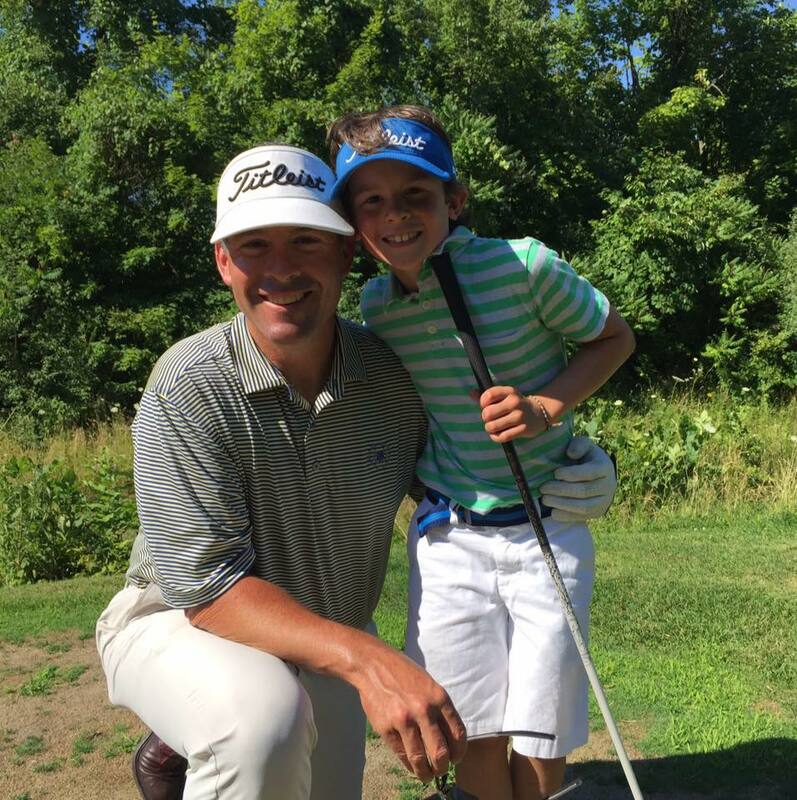 Even with training from pro’s John Busick, Craig and Bill Harmon, Ben believes his teaching style is no different than anyone else. Craig was his ultimate mentor and he shapes much of what he tries to do in teaching and in life from things he learned from him. He explains his style as a “focus on squaring the club face.” Efficiency plays a large role in his position as a teacher as he explained to me that the leisure golfer isn’t always about prettiness. If he can get a player to square the club face or release the club more, then it’s a job well done. He also puts a focus on “swinging the club vs. hitting the ball”. Positive progress is made when his players are swinging instead of just trying to hit it. Since a majority of us are not “pro” level, I asked Ben next What are the biggest mistakes he see’s novices make on the course? His answer was as follows. “It starts at the tees. What tees people choose to play is a common mistake I see. I have seen a lot of egos take over at the start of a round. If you’re playing here at Sodus and on your best day you carry the ball down-hill down-wind 180 yards with your driver, you have no business playing the blue tees. We have various tees to accommodate for distance of the players. Golfers tend to play courses that are too long for them. People have a tough time cutting the cord with the fact that they aren’t carrying the ball as far anymore or don’t want to mess up a game they are playing with friends. It’s the biggest mistake I see from course management. Secondly is club selection. While you’re on the course, it comes back to knowing exactly how far you hit your clubs. Maybe when you were 40 and hit a 7 iron 150 yards and now you’re 60, you’re not swinging a 7 iron that far. 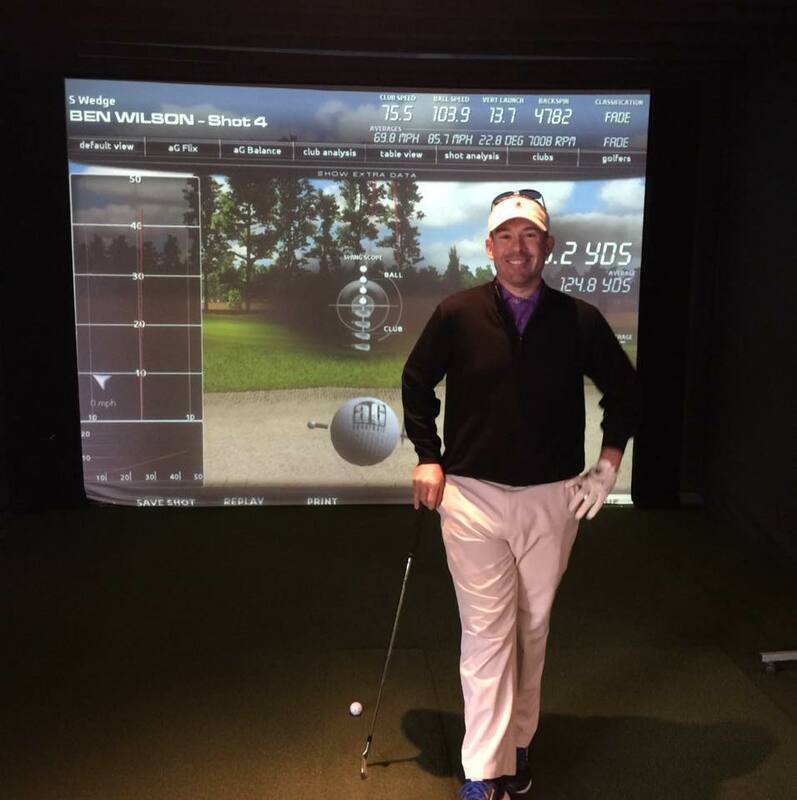 Just knowing how far you hit your irons is crucial.” I couldn’t agree more with Ben. For a long time, I would try to play the Blue tees and would get eaten up on the course. I decided to stay at the whites until I hit a certain handicap number. Now that I hit that, I move up to the whites occasionally to give the course a different look. It’s actually very challenging mentally. Short term success is ok but we all play this game for long term success. Starting beginner level players in the right direction is a goal of mine and Go Golf U.S. as it will help grow the game overall. Ben made a great point when I asked what’s one thing he would teach beginner level players to set themselves up for long term success? His response was “start in the game working from the green backwards.” This was something I hadn’t heard before and his point was excellent. He said, “Starting the golf experience from the putting green to chipping to pitching to bunkers and then to the full swing. Its fun to hit long shots off the tee and how far you can make the ball go, but the scoring happens the closer you get to the hole.” This made perfect sense in that after you start getting “good” you focus on scoring. If you know/are more comfortable with the areas where you can save strokes, you’ll have a better chance at success in this challenging game. Q: What’s your view on golf and fitness? Has it changed the game? Do you think its positive for golf? I couldn’t agree more. After this interview, I implemented some simple stretches I do in the locker room before a round. Q: What are the most common misconceptions of golf pros? Q: How do you think we can get more juniors involved in the game? Having kids, I’m sure you have seen what works and what doesn’t. Ben had some great insight seeing as he has kids in the golf world. I am excited to see what he brings to Sodus and the Rochester area on the Jr. program level. Q: Whats the most important thing golf has taught you? And you hope it teaches others? A: “Golf has given me the opportunity to meet so many wonderful people. It teaches us all the same thing in honor, integrity and honesty. It has made me understand how to be more humble. I can’t always do what I want to do on the course or lesson tee, but I always enjoy myself while I’m playing. What I’m enjoying now more a days is watching people play better, have fun and developing relationships. I really don’t know if I’ve meet someone on the course that has been absolutely unbearable. You have some sort of common bonds as golfers no matter who you are. Its been a huge part of my life in the people I have met and built relationships with. This was an amazing answer to hear. I hope you can feel the passion for his response as much as I did when he answered. Ben’s favorite book right now is “Men In Green” by Michael Bamberger. Bamberger was an old sports reporter and former tour caddie. The book talks about Nicklaus, Palmer and other big names, but also under the radar pros and caddies from the golf world in the 70s,80s and 90s. Q: Name 3 things you need in the golf bag – CANNOT be a club. I was skeptical about this answer at first, but then understood after some explaining. Nutrition – Ben’s nutrition of choice is a Peanut Butter and Jelly sandwich. A range finder – Common answer thus far with all of our pros. Q: What do you like to do outside of golf? Q: Have you had a hole in one? If so, how many. If not, how close have you got? Pictured below is Ben and his son. To help get SBHGC info out there, the public rates for 2017 will be $50 weekend and $45 week day at peak rate for 18 with a cart (you of course can play for $30 with the Go Golf U.S. app for $30 during allowed times). They are currently our only semi-private course involved with Go Golf U.S. – To see out membership opportunities with SBHGC, check out their site here at https://www.sodusbayheights.com/membership, which we highly recommend as they have great incentives for young adult members. That concludes our May edition of “Meet The Pro” with Ben Wilson. I can’t say enough good things about Ben after getting to know him better. Next time you’re at SBHGC, say hello to him and his staff.